Andrographis paniculata is a staple in Ayurvedic and traditional Chinese medicine, despite its name being hard to pronounce. Most people refer to it as the “king of bitters” for its unpalatable taste. Yet it is exactly the bitterness which health and wellness experts say indicates the plant’s incredible health benefits. The plant is indigenous to southern India and Sri Lanka. International trade has allowed the plant to be further cultivated in China, Thailand, India, and Pakistan. It is also known as chuan xin liang, fah tolai, India echinacea, kalmegh, kiryat, and sambiloto. Andrographis carries powerful anti-inflammatory, antimicrobial, and antimalarial properties. Folk medicine practitioners typically recommend the herb to help treat the common cold. Medical science is only verifying the mechanisms involved with the plant, with initial data suggesting that the andrographolides boost the immune system by stimulating the production of various antibodies and macrophages. Botanical reviews have also shown the plant’s potency in alleviating symptoms related to the cold, including fever, nasal drainage, sore throat, and sleeplessness. While unverified, some Ayurvedic healers use the herb as a treatment for snake poisoning. The herb is effective as an overall support for body health. That said, preliminary studies have concluded its advantage in promoting gallbladder and digestive health. Recall that the plant is a powerful anti-inflammatory supplement so organs that require stability would greatly benefit from a daily intake of andrographis. For the most part, andrographis paniculata is used in conjunction with other herbs such as Siberian ginseng. This is to enhance the plant’s medicinal effects. The plant’s leaves and stems are dried and taken as a tea or ground and made into a supplement. The plant is a little hard to grow so most people source the herb through their traditional drug stores. Health and regulatory groups have yet to determine an exact dosage for the herb. However, a therapeutic dose of 400 milligrams, twice daily, is suggested by the authors at LiveStrong. 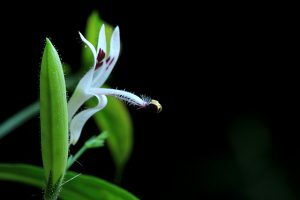 Andrographis should only be taken for a maximum of 10 days, as there are evidence which suggest an excess of the herb can cause unwanted side effects such as headaches, fatigue, nausea, diarrhea, and pain in the lymph nodes. The active component of the plant may also interfere with certain medications. Patients should consult with their medical doctor before trying the herb. Andrographis is a bitter plant which can help treat the common cold. It should be taken cautiously. Excess consumption of the herb can elicit harmful side-effects. It is normally taken as a supplement with other healthful herbs.